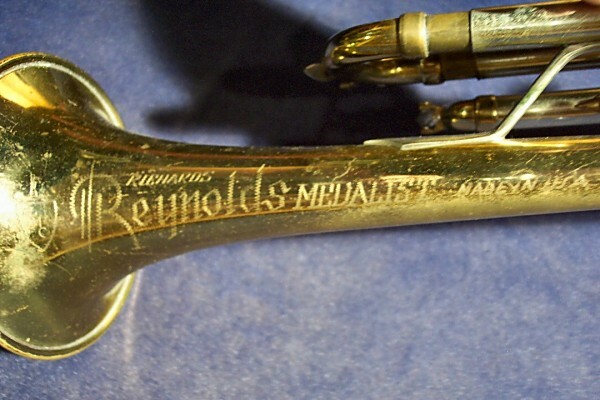 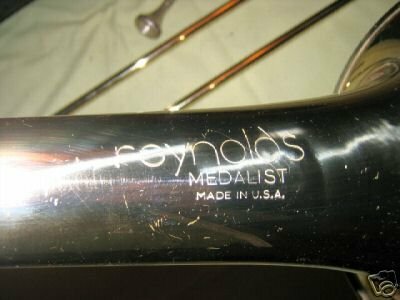 The photos and notes below describe the different engraving styles that were used on Medalist instruments over different periods of the Reynolds Company’s history. 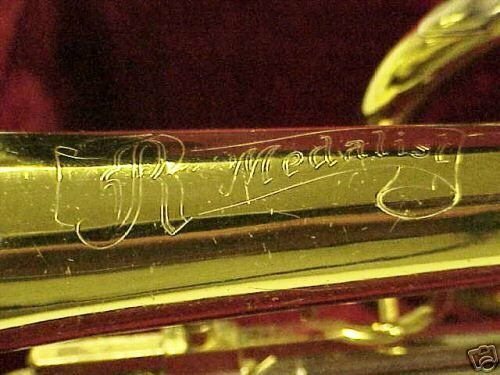 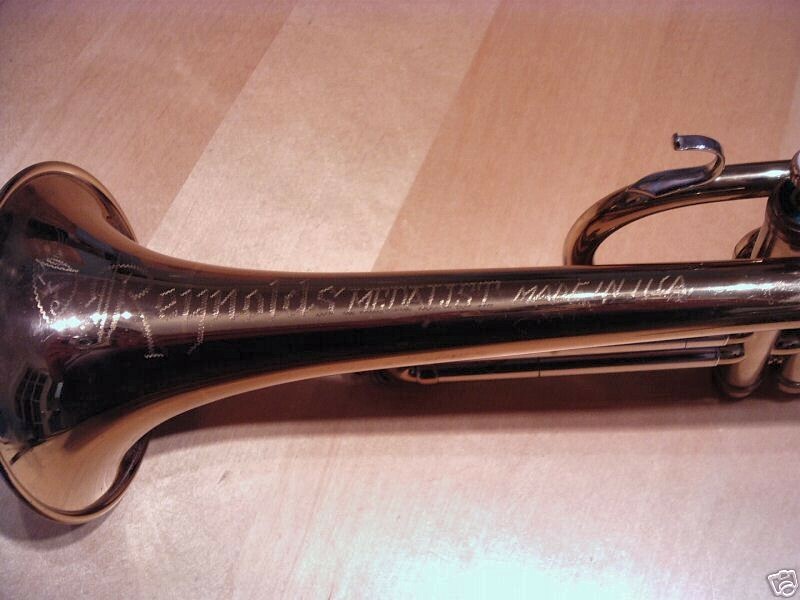 The presence of “Elkhart, Ind” markings indicates horns that were made at the Blessing factory in Elkhart, Indiana (confirmed by Merle Johnson, former President of Blessing). 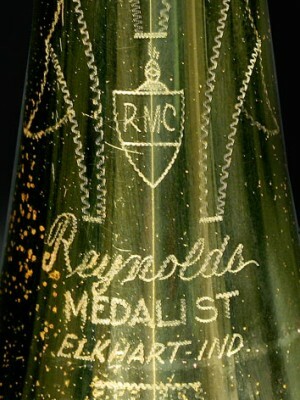 Same as above, with the word “Richards” above the “Reynolds” mark.